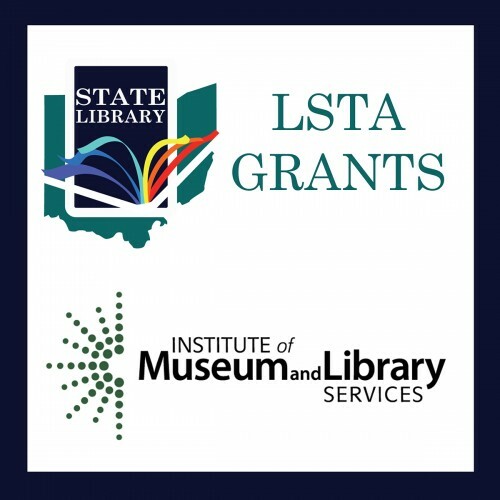 The State Library of Ohio is pleased to announce that at its January meeting, the State Library Board awarded a total of $151,192 in federal IMLS LSTA Grants. The grants recipients included Licking County Library System, Bucyrus Public Library, Ohio Library Council, and OPLIN. “These grants will help two libraries improve access and service to their patrons and will aid two library organizations, OPLIN and OLC, to support the Ohio library community in new or improved ways,” expressed State Librarian Beverly Cain. Licking County Library System was awarded an Outreach & Partnership grant in the amount of $50,000 to purchase a 24-Hour Library Main System to deliver 24/7 library services including checkout, return, item renewals, program information, Wi-Fi display, 235 item shelving capacity, 600 item 9-bin sorter for returns and a 20 compartment locker system to provide access to library services to the under-serviced eastern-most geographical location of Licking County. Bucyrus Public Library was awarded a Public Library Automation Grant in the amount of $20,142 to migrate their ILS to Evergreen, used by the Consortium of Ohio Libraries (COOL). OPLIN was awarded $70,000 to upgrade the platform for their Website Kit service. OPLIN plans to issue an RFP and identify a contractor to accomplish most of the work to upgrade 80 library websites to Drupal 8. Ohio Library Council was awarded $11,050 to support “Re-IMAGEing Ohio’s Libraries: A Collaborative Event for the Staffs of Ohio’s Academic, Public and School Libraries.” This joint conference, hosted by the Academic Library Association of Ohio (ALAO), the Ohio Education Library Media Association (OELMA) and the Ohio Library Council (OLC), is scheduled for Friday, June 14 at the Conference Center at OCLC in northwest Columbus.